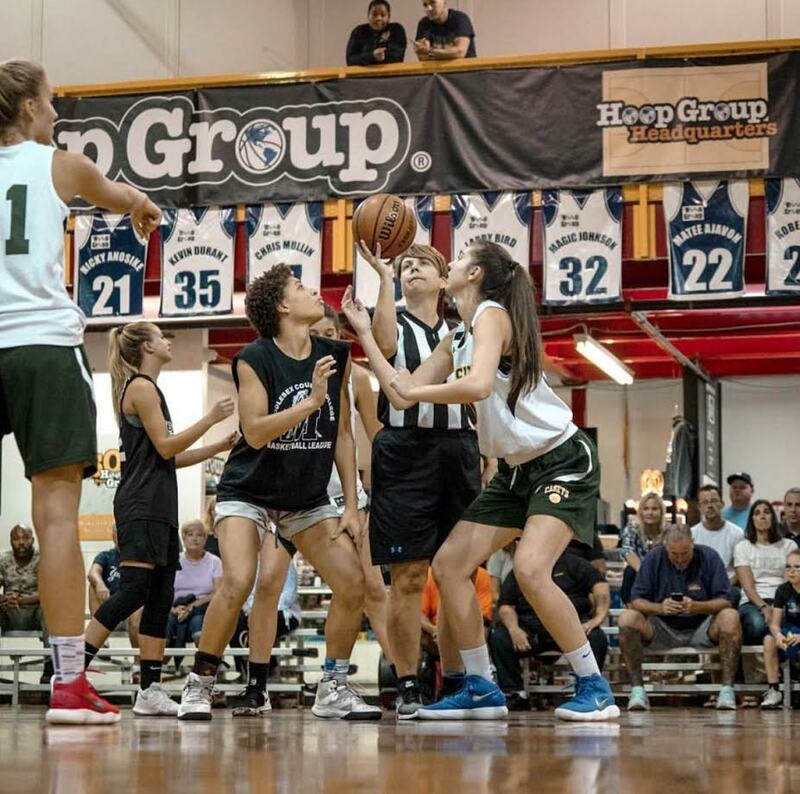 The Hoop Group fall league kicked off with a big bang on Wednesday. The excitement in the buildings could be felt by all. But the real story of the evening was off the court. Seeing so many smiling faces was pure joy for me personally. Girls running up to teammates and friends hugging and smiling. Parents, seeing each other in some cases for the first time since the summer. This is why high school basketball is special. 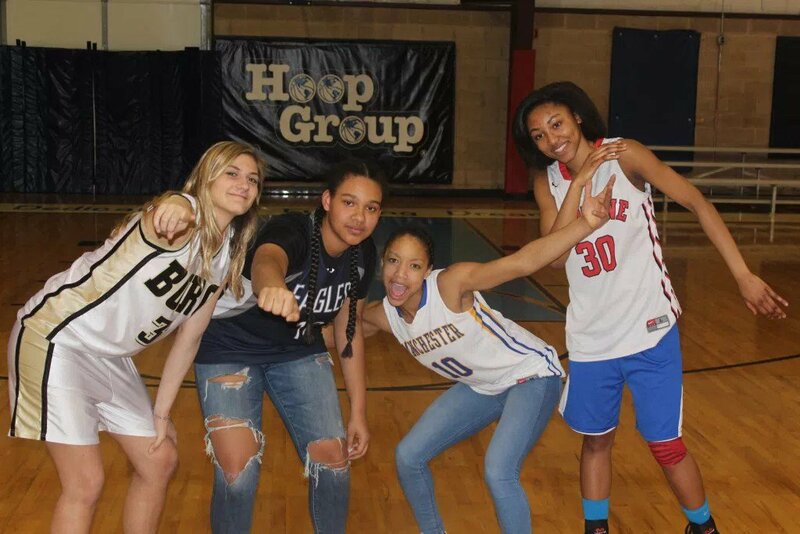 A number of transfers made there HOOP GROUP debut with there new teams. Brynn Farrell and Makayla Andrews did so for St. Rose. This was my first look at Farrell and she showed right away, she will be a force all season. She is highly competitive and makes everything look easy. Her ability to score in every fashion was impressive. I was pleasantly surprised by her ability to rebound and score off the offensive glass. She is certainly a ALL SHORE type player. The other St. Rose transfer is Makayla Andrews. It’s clear Andrews puts St. Rose in the company of the Top 5 teams in the state. Her explosiveness is elite type stuff. She will be looking to move up in the All Shore rankings. What I like about these two, is they appear to be fitting in perfectly with their teammates, who have embraced them with open arms..
Amelia Medolla has transferred to RBR and John Turhan most be one happy coach! While everyone is focusing in on the St. Rose transfers, their are some real game changing players, switching schools. Amelia Medolla, was sensational on Wednesday running the RBR team. She was so good that in fact the score was 17-13 late in the first half. While the score ended in a lopsided fashion. It did not tell the story. RBR playing without it best player hung with St. Rose when their starters were in the game. The gaps in the score happen when RBR rightfully went to their inexperienced bench. Medolla was clearly the reason RBR starters looked so good when on the floor. 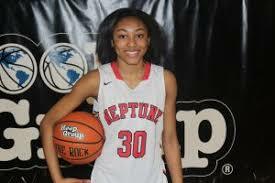 Another transfer who has not got a lot of attention is Sophia Memon of Middletown North. She has transferred from RBC and this is a major pickup for North. Memon is no question on the Shore Conference short list for Most Improved Players. She is a physical rebound and defender. She also has proven she can score against top competition. No question she makes North a sleeper crew his season. By the way college coaches, this kid is growing faster than just about any player I have seen this fall. 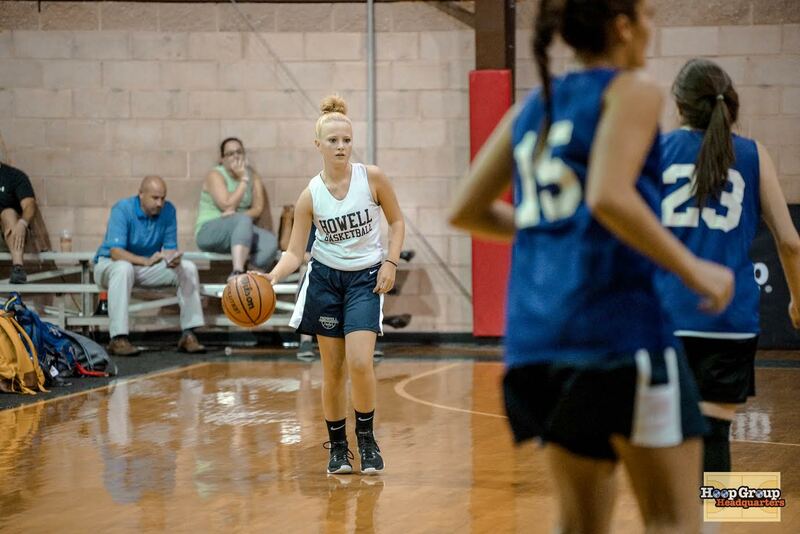 She is a kid I would kept a eye on….and she is a GYM RAT! Now the strangest thing about all the transfers is this…. nobody is talking about. 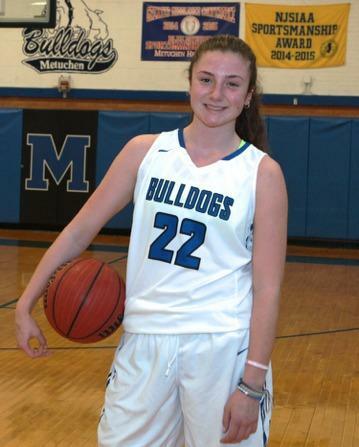 Former 1st Team All Freshman team member, Kate Leturgez who has transferred to Manasquan. She just may be the biggest and most important transfer this year. 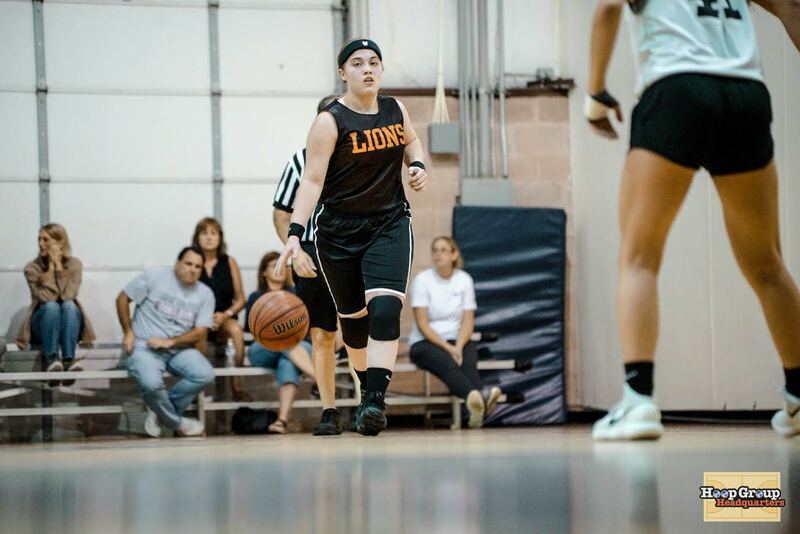 She gives Manasquan a big time rebounder, size, a real psychical defender and elite passer. She averaged a double, double as a freshman. Most have forgotten her because she sat our last season with a torn ACL. Not only is the future Division 1 forward 100% healthy, she is living in the gym. She is a major upgrade at the forward position, that Manasquan never dreamed of falling into their lap. 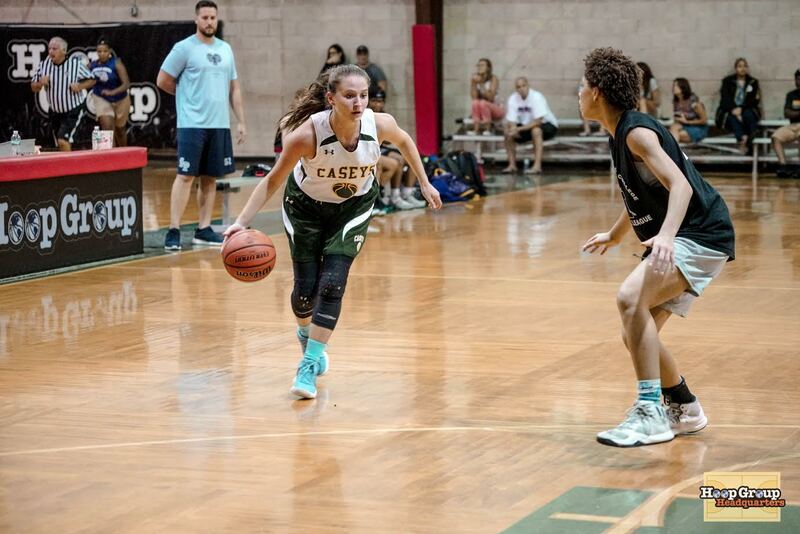 EMMA BOSLET proved it not just hype….she is the real deal! I feel like every week a college coach asks me about Emma Boslet. I always have to say, I know little about the US HOOPS/ BASKETBALL WAREHOUSE protege. Last week a local Division 1 asst Coach said “Tiny you will love her” boy was he right. Boslet showed me she is without a doubt a Division one lock. First she is mega competitive and can put the ball on the floor. I mean she is like a Mack Truck going to the rim. Then she can bury the three or pull for mid range jumpers…that’s right she is that rare player that can score at all three levels. But wait folks this is no one trick pony. Boslet is a relentless rebounder and defender. But if that is not enough, she is a true leader. The entire game encouraging teammates and he best part of all….KIDS PLEASE LISTEN UP!…. ELITE AS IN REAL ELITE body language. 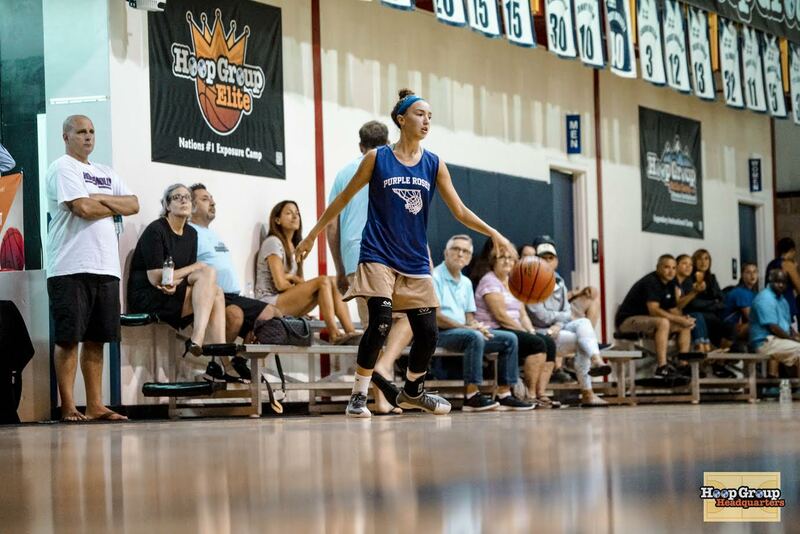 College Coaches you better pay real attention to what I’m about to say…her total package will allow her to play a level above her ability and she has a ton of ability. Now what’s interesting about Bishop Ahr, who gave RBC all they could handle on Wednesday….is that Boslet is not there only Division one player. Now there are clearly some kids who have taken a big steps forward. Fab Eggenschwiler is in the conversation as the best defender in the Shore. Her length and quickness present a real problem for any elite scorer. Eggenschwiler is no question working up to a great season. 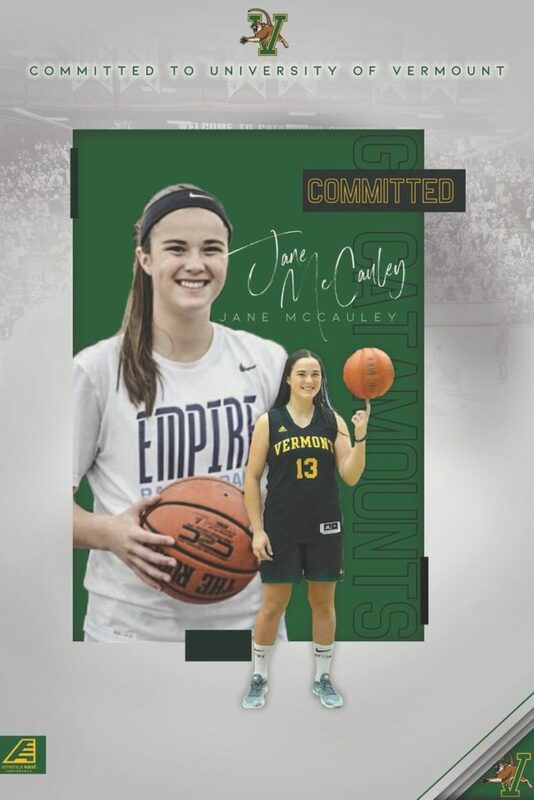 The highly recruited 2020 has really separated herself from the rest of the 2020 class in terms of recruiting, everyone is hoping they remain on her list of schools. I don’t think you can say Annie Makos has improved, I feel it’s just she has a bigger role this year. It’s clear Manasquan believes she will have no problem helping make up for the lost of Dara Mabrey. Her energy and unselfishness is an addiction. Here is a name I can assure you, that will come to the light this year...GRACE LEARY of Howell. This young lady has made leaps and bounds. 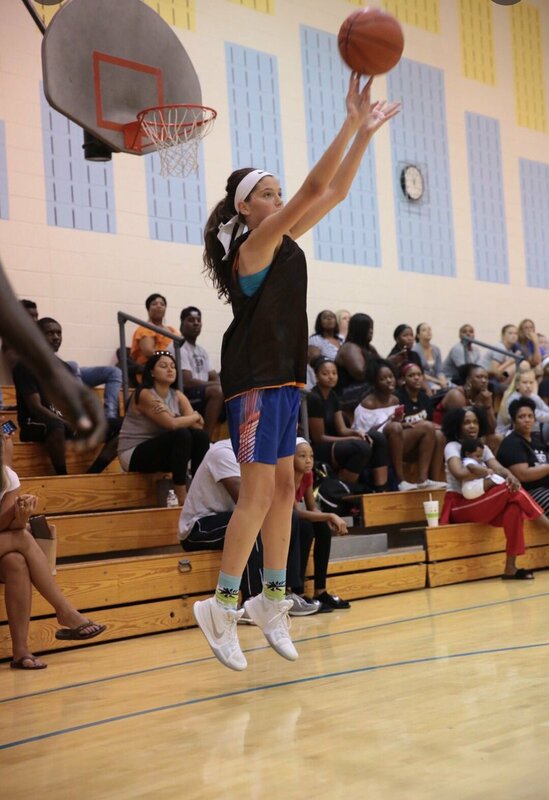 Camryn Foltz college coaches will be a All State Player this year…write it down. Abby Antognoli was a flat out wrecking machine vs RBR. 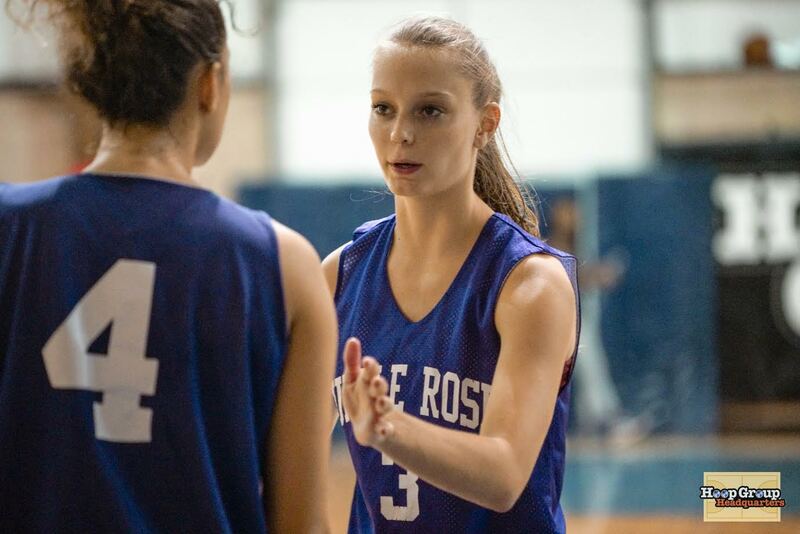 No player may be more important to a top teams sucess than ABBY is to St. Rose. Her ability to change the pace of the game in so is amazing. She has gotten stronger and has become a deadly shooter. Now this may sound crazy but it’s true..She is a major up grade at the position from a year ago because she is a true point guard surrounded by scorers. Finally Chloe Teter of RBR was sensational vs St. Rose with 9 points in the first half alone, when the game featured both teams starters. Teter was a surprise 1st TEAM ALL FRESHMAN member last year and clearly is trying to build on that. Speaking of Freshman Manasquan baby Georgia Heine proved, she will have no problems adjusting to the high school game. 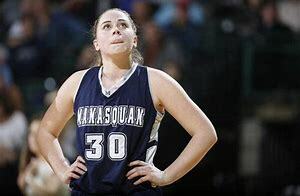 Manasquan clearly needs to build a supporting cast around Lola Mullaney, Faith Masonious and Annie Mako. The 6’0″ swing Heine showed she is a leading candidate to help fill some of those roles. Georgia Heine, showed she could play at the pace Manasquan has become known for and she can score off the bounce of from the 3 point line line. She was confident and highly effective throughout the evening. Dorthy Lofferdo and Brooke Holloway, showed that they also may find themselves in the starting lineup and at worst in the rotation. The Manasquan babies, may be gaining more from the fall league than any other group. Manasquan is going nowhere and here is why. Lola Mullaney looks like a super hero. Her body right now looks like it was craved out of stone. She is in pristine shape and her partner in crime Faith Masonious is right behind her. There are those who think losing Mabrey will make them less of a contender. Well folks think again, Mullaney is a PLAYER OF THE YEAR CANDIDATE who will get more touches, why is this important? Think back, who was the most efficient player in the state last year? You got it…Mullaney. Next guess who is going to have a bigger presence if that’s possible this year? 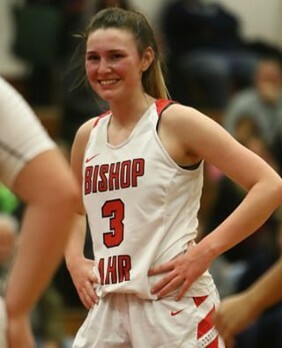 You got it, 1st Team All State, Faith Masonious. Some are saying what about he point position? This is laughable, folks if need be Masonious and Mullaney can and have both played the point. But what I like about Manasquan is the leadership of Masonious and Mullaney. It was clear they were looking for their babies. Trying to include them in the offense as much as possible. On the bench they both were talking and encouraging their teammates. They could care less about the score. They are preparing and I believe use the fall league better than any other team. RBC, while very talented is going to be challenged this season. Three things jump off the page. One there lack of leadership…they lost 4 seniors, someone will need to fill the void. Julia Setaro and Fab Eggenschwiler appear to be the leading candidates. Next outside of Sophia Sabino the entire roster is made up of new comers and role players from a year ago. There is no denying experience is a real issue. They will all need to catch up quick. Finally, RBC while talented, is physically nowhere near the other top teams. Now the good news for RBC fans, if opponents are going to get them….THIS BETTER BE THE YEAR. LAUREN LITHGOW and teammates would be wise to insulate themselves. St. Rose is so deep and talented it’s insane. They are the deepest team in the state by a long shot. They have everything…shooters, ball handlers, quickness, size, talented babies, experience and a elite bench. They have a complete team Top to bottom. They also have kids who have won big games. They are a major threat to win the SCT and TOC after graduating 4 D1 players. Right now they are a close #2 in my mind to SJV. What can derail them you ask? Jealousy and drama off the court. This team would be wise to form a wall around each other and not let outsiders be part of their inner circle. Shut out the parents, outsiders and of course the haters who will exaggerate every little mishap. Coach Chambers has the toughest job in the state. She will need thick skin and ear plugs…but it beats the alternative tho, ….give me talent any day of the week. Howell is to me is one of the most interesting teams in the Shore. There are not just talented but athletic as they come. They also are mega competitive and play sooo hard. So what’s the problem? They have a lot of multiple sport kids. If those kids can some how find time to get in the gym occasionally. This team may surprise everyone. Last year many believed with the mixture of veterans and talented babies, Howell would have a monster year..it didn’t happen. Chemistry did them in and lack of work in the off season and pre season was there downfall. I got a feeling this year’s team, learned from last year. I feel they can find that missing chemistry. It was interesting watching them share the ball and more importantly taking GREAT SHOTS… it looked like a winning formula if you ask me. It’s going to a fun fall!! JACKSON MEMORIAL, TRN, MIDDLETOWN SOUTH, COLTS NECK all will start the year in the Shore Top 10. None of these teams could put together enough players to play in the fall. I think their coaches would agree this is what separates these schools from the elite teams. But fear not coaches, interestingly is that many of these schools best players were part of the fall league. Bianca Giadano of JAX MEM...Jenna Paul of TRN...Stephanie Mayerhofer of MIDDLETOWN SOUTH and Camryn Foltz of COLTS NECK…were all part of make shift teams. So while these schools may not be playing, there best players are and this no question, this will help once the season starts. 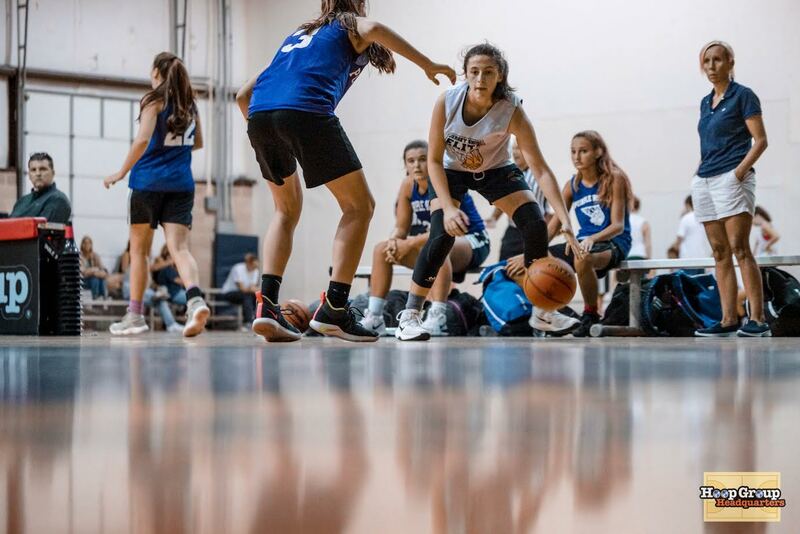 I will update the Fall League once a week… SJV, Manchester, RFH, all check in next week! ALL NBS TIMES ARE BACK TO REGULAR TIMES…..